“Wow,” I thought. “What would I do with such freedom?”……. That was about three years ago when my first born was in college and soon to return from volunteering in Tanzania. That was a hard letting go then too, but he returned safely with lots of amazing stories and photos. He expanded my world and made me proud. Now, three years later he’s 24 and just moved out into his own apartment to start his own adult life with a job and a car he bought himself. And, the youngest of our two kids will soon fly far away to another state to go to college next month. My husband is recently retired and is gone a lot volunteering or traveling abroad to help build homes or libraries. I have much of which to be proud and grateful. But these changes have left me feeling alone, empty and a bit lost. I didn’t think the “empty nest syndrome” would happen to me! After all, I have a career! However, funds were recently cut for the parent education classes I have taught for the past 14 years. The gift is I am now free to totally pursue a private practice as a parent coach, something I’ve always wanted to do. It can feel a bit lonely and overwhelming at times to venture out into new territory, but exciting too. Who knows, I may write a book out of all these rich experiences of motherhood, marriage, and menopause…..
“Fear and excitement are two sides of the same coin”, I teach parents and kids transitioning from elementary school to middle school, and from childhood to adolescence. So many transitions in life, each with it’s own lessons to learn. I “should” be cleaning out my son’s old bedroom so I can finally have a much needed home office. This is the same room I once decorated with rainbow curtains before he was born. It’s been a week since he moved out and I still can’t seem to bring myself to change anything in his room. So many memories of childhood and adolescence in that room….. It feels like someone has died, and no one has. He’s just not living there anymore. He has his own “nest” now with a roommate across town. I should be glad he’s in the same town and can come visit from time to time. It doesn’t help. I still cry now and then. I have to admit, this is a big change after 24 years of motherhood. It’s about loss, change, letting go again, and moving on. I’m discovering it’s not an easy process. Maybe it’s a lot like birth: painful, one step (or push) forward, one back, one step forward, one back……until finally the baby is born and begins a new life separate from the mother’s womb. So from day one, we are leaving our mothers, more and more each day, until one day we fly away to start our own life and our own family and the cycle repeats. Writing helps me through these transitions of life. In our hallway with all the photos of our kids at different ages, there is a drawing of a beautiful mother holding her baby. Gallery | This entry was posted in Uncategorized and tagged Mother. Bookmark the permalink. What beautiful sentiments. I’m grateful to have shared this experience with you. Thanks, Dan. I’m grateful too. So true, and poetically described.What a wonderful and difficult time of life. I am a couple of steps behind you with two teeagers. I struggle to figure out how much to let go and how much to hold on . I guess every stage has it’s gifts and challenges. Thanks, Victoria. I remember when my kids were teenagers and wishing for this time when they had left “the nest”. Now I miss them and cry at unexpected times when memories return. It’s “and/both”. I’m glad they’re independent young adults and I miss them too. 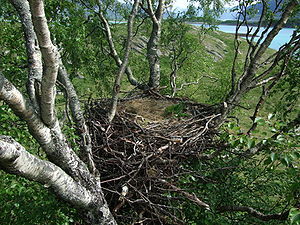 Time for this “mother bird” to re-create her nest, find a new one, and/or just fly free and see what she discovers! Wherever we are in our life stages, we need to lean into it, learn from it and be grateful for love in our lives. Thanks for sharing this. I recently published an essay called “Letting Go”. It’s about my daughter getting married when she was only 20. I have one going off to college and another starting high school. I also feel that writing helps, but I do feel a profound sense of loss. It helps to think about what you can look forward to. Thank you for your comment. I love to read your essay about letting go. Yes, I agree we do feel a profound sense of loss after giving so much of our lives toward raising our children. You might enjoy reading the poem my Gibran on “Children”. Take care of yourself.